This article is 3125 days old. John R. Park Homestead Farm House by Local Food - Windsor & Essex County from the windsoriteDOTca Flickr pool. Fall is in full swing, and that means it’s Harvest Time! 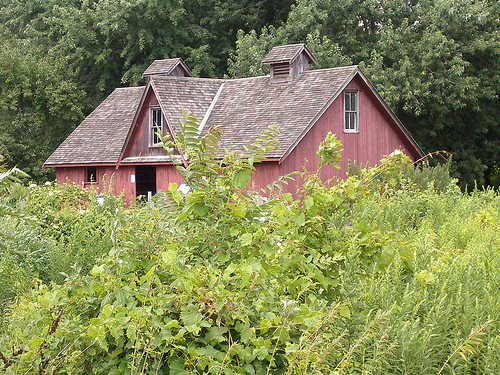 This Sunday, visit John R. Park Homestead for the annual Harvest Festival, which runs from 10am until 4pm. Guests can enjoy learning about a variety of pioneer activities, from a black-smithing demonstration to a corn husk doll making workshop, from cider pressing to apple drying, and much more. The 4H Goat Club will be present, showing off their kids, and the Balsillies of the Fruit Wagon will be in attendance, offering apple and pear tastings. This year’s Harrow Fair Cookbook will be available, too, which is a beautiful and superb collection of local recipes! For those that love the spookier side of autumn, ghost stories will be shared in the attic of the homestead. Victorian superstitions will be discussed and debunked, and if you’re looking for some clairvoyance, divinations will be available. Keep in mind, though, “results are not guaranteed”! At 2pm, the John R. Park Homestead will be honoured with the Russel J. Cooper Award by the Ontario Historical Society, for the best living history museum in Ontario. Russel J. Cooper’s widow Rowena will be on hand to present the award, and she’ll also take part in the day’s pioneering activities with a lace-making demonstration. If history intrigues you, and you believe it’s important to pass down tradition through the generations, visit John R. Park at 915 County Road 50, east of Colchester on the shores of Lake Erie.